Stiassni villa, originally built for the family textile factory owner Alfred Stiassni, later to be known as a government villa that hosted many important state visits, such as President Edvard Benes or Cuban dictator Fidel Castro. 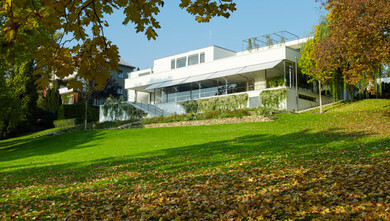 The villa was built between 1927-1929 according to the design of the Brno architect Ernst Wiesner. 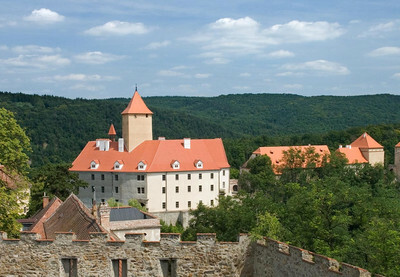 It stands out primarily for its bold, almost castle-like interiors. 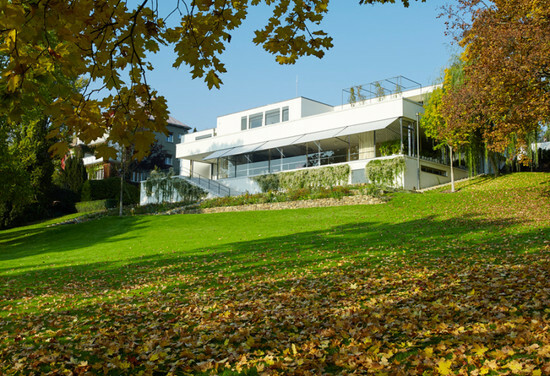 The villa is surrounded by extensive gardens, with more than three hectares, in a luxury district of Brno Pisárky. After many years, when the villa served as a hotel for important state visits and was rented to celebrate birthdays, etc., In 2009 it was transferred under the administration of the National Heritage Institute and its recovery began, that tried to return the villa to the form of the period when the Stiassni family lived there It was opened to the public 14. December 2014. Set off on the trolleybus to the Villa Löw-Beer, where you can saturate yourself in the world of the Brno bourgeoisie.